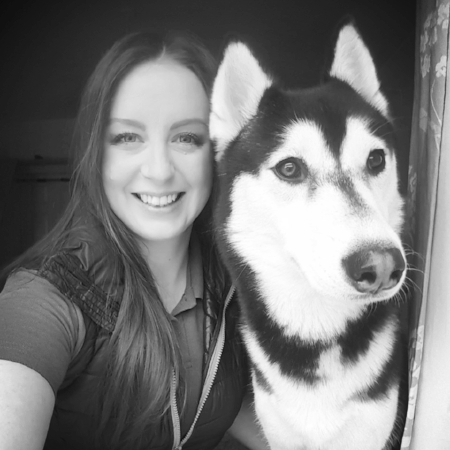 Hi, I’m Lucy Bennett at Animal Behaviour Coach. I help animals want to change, using an animal-led, force-free approach. That way, your pet will feel happier in themselves and with you. And it works. Or at least it has for the many pets I’ve helped already. Read student testimonies for more details. I use compassionate teaching methods, based on scientific research. My aim is to help your animal overcome any behavioural problem, improve the relationship between you and bring well-being to your home . I’m based in Glossop and teach across the Peak District and South-East Manchester. You are also welcome to visit my private and secure training venue in Glossop. To read more about my training and research, please see my qualifications page.